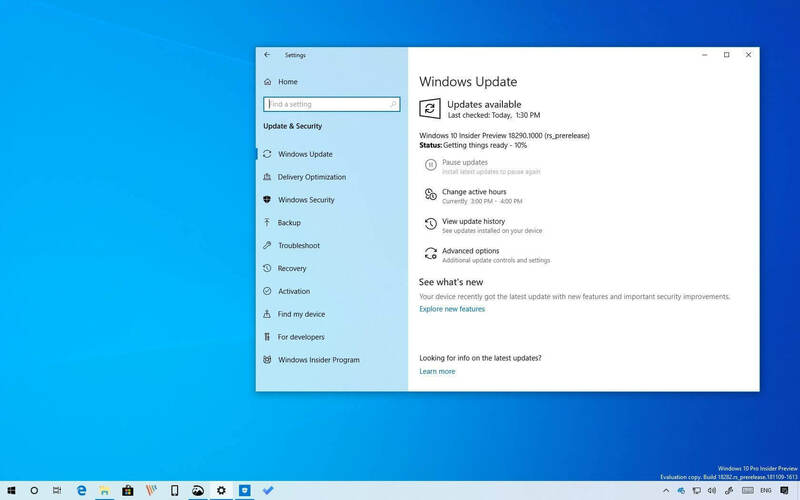 Microsoft has confirmed that the April 2019 cumulative update is not playing well with some PCs. On Tuesday, fondly referred to as Patch Tuesday, Microsoft rolled out the April updates to Windows 10, 8.1, and 7 machines. As has been the case recently, it didn't take long for the updates to cause performance issues. Numerous users on a reddit thread have detailed their experience since installing the update. Some report that Windows has slowed down considerably after installing the update, taking several minutes to reach the login screen or access Task Manager. Others claim their system freezes or hangs up during the boot process. A post on Microsoft Answers echoes the previous comments, that after installing the update, systems become unresponsive. Interestingly, it also seems the update is posing a conflict with systems running certain antivirus programs. It's become pervasive enough to prompt both Avast and Avira to separately issue statements to their customers. Both companies confirm that the updates are causing problems, especially for Windows 7 users. Both Avira and Avast state that the problem is being investigated and the suggested solution is to roll back to a previous version of Windows. Likewise, Microsoft has temporarily blocked the updates from going out until it reaches a resolution. 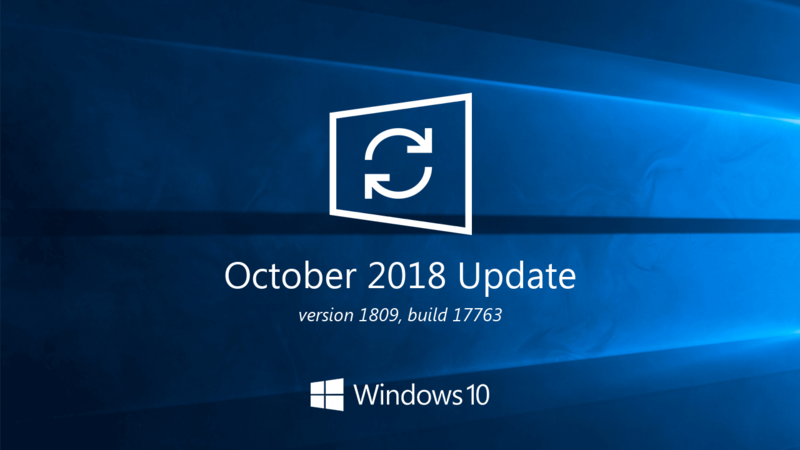 On the Windows 10 front, the April 2019 Update -- later renamed to May 2019 -- version 1903 brings a few new features including a new light theme, performance improvements thanks to better Spectre fixes, a streamlined Start menu and better search functionality that scans all your drive's files. Also for professional users a built-in Windows Sandbox. A silver lining is that Microsoft will be less pushy with updates in the future. Starting with the May 2019 update, users will be able to delay updates for up to 35 days, 7 days at a time. This could provide a safety net to avoid serious issues on production machines but most important of all, Microsoft's Windows team should get their act together. At this point it's a miracle if Windows update doesn't **** the bed. Haven't installed the update yet, hopefully it won't force it self on my PC until some things get resolved. It becomes legal to blame MS for everything, and I won't defend them, but..
Only certain AV-software installed machines have been affected. It is well explained in KB articles, specific to Windows version. It is also noted, that Windows Update now prevents installation of the update when it detects uncompatible AV. Moreover, certain AV-developers began to release their own patches to address the issue. In the environment where AV-software and OS are so well tied together, god knows who's responsible and for what. Ask yourself, why only 4 of dozens AV is affected? And hey, why only 90 comments left on reddit about this huge problem? Not only that -- when I did the recent update, my activation key was wiped. Got on the phone with MS and they were of no help at all -- finally found my key but WTF? Botched updates only going back to October of last year? From the experiences with windows updates since I installed 10, that time frame is extremely generous. I almost had to reinstall windows 7 last week, it got stuck on a update while the computer was starting up. All my restore points disappeared. I used lazesoft usb boot to fix the problems. I did have AVG installed at the time, just before this occurred a malwarebytes scan picked up on a some kind of bitcoin mining malware that was causing my idle temps to rise. I always switch anti virus after a persistent infection, windows reinstall or major booting problem that takes tinkering beyond system restore to fix. After it was all said and done I noticed my PC using 4 gigs of ram on idle with no programs running, I turned paging off rebooted and turned it back on. It hasn't acted up since. I set my updates to manual because Trustedinstaller.exe started going nuts a few weeks ago hogging up all my system resources. That was when it all really first began. Hope this helps someone. p.s. Come to think of it my gf computer kept freezing up while loading windows, blue screen "windows is loading" a few days ago and she has Avira, luckily a system restore fixed it without any other issues so far. p.s.s. Window is configuring updates= the new blue screen of death. Or cause a stressful restore like on my system, ho hum back to fake metered system till they get it right..Oh Divine Intelligence please guide Bezos to make a competitive OS that apps will cater. Still no issues here using windows 10 pro. new build too. btw who the hell uses a free or paid av. why, they arent protecting you anymore than Defender does. they arent even classed as good anti viruses to begin with. James00007 and max0x7ba like this. I have noticed that windows 10 Updates on an SSD install far more quickly and more reliably. I have ditched HDD wholesale. Nothing but SSD here. People are expecting windows to get stuffed by updates. There is a good reason why windows users should be in decline. Mac is just as bad at updates though so no point complaining they're all got issues. Linux also has it's own issues with updates but using Linux you are never forced to update. I ran my Linux machine for 4 years without a major update, only apply security patches. The change to allow update delays is a good step forward for MS. Forcing updates was always a bad idea. If direct X was open source, I would never use Windows again. Obviously the updates caused problems here, but we have to understand that the PC ecosystem is vast, with many different user-configurable and user-installable components and connections. There are hundreds of possibilities why the updates caused havoc, where users themselves have installed their own programs and software which might be interfering with the updates themselves. I'm sure MS won't be pushing out the updates if they cause problems in their own machines. It's difficult to troubleshoot where is the problem unless the end-users are using only a vanilla setup like they do at Microsoft. And yes, I also believe users should be given a choice for when and if they want to install the updates, and not forced upon them. For now, Win10 users must have backups when the system is working perfectly, to revert to it if something goes wrong. It's always better to be prepared. Edit: I also believe tech writers should emphasize on users' responsibilities rather than squarely blaming Microsoft everytime an update is released and fan sensational news on users' sentiments. And give advice to users how they can overcome a problem rather than stop short at crying foul at a problematic update. Unless Microsoft implements user-controlled updates - to install updates only on the users' discretion - , this problem will continue. I faced some problems like uninstalled software and missing MIDI drivers once or twice long back, but face no problems with updates myself nowadays. lipe123 and max0x7ba like this. Bring back (or at least consult) Bill Gates & Co. until you get your Schitt together!! The whole problem started with the free update they offered to new 8.1 users. Never update a PC with a new OS, especially if it is free and on a limited time frame. It just does not have the registry or the BIOS to deal with the new OS, in this case Windows 10. If you want a new OS, go out and buy a new PC. You're gonna have to buy a new one anyway after the update crashes your former OS. MS does this intentionally to stimulate sales of new PCs. If you have a new PC with windows 10 factory installed, you are good to go. Windows 7 is older than the hills and can't imagine Windows 10 even having a prayer on that old system. I installed KB4489899 on Monday April 1st along with KB4489907 & KB4486553 a few days earlier. While my Surface Book 2 was pretty much rock solid on 1703, issues started popping up with 1803 and 1809. I never had a BSOD on 1703 or 1709 but started getting them on 1803 and 1809. They seemed to calm down after updates the past couple months and I was finally enjoying a somewhat stable computer with an occasional BSOD here and there until I ran updates on April 1st. Immediately after, my Surface Book 2 became unstable. Freezing non-stop, BSODs, etc. It was so bad that I could not even open simple web pages in Chrome or check email in Outlook. I decided to go back to a restore point from right before when I installed KB4489899. It took over an hour to complete. Initially after the restore, the computer rebooted, I was greeted with the login screen, I was able to type my password and press login, but then my screen went completely black. I never saw my desktop. My computer has never gone to a black screen after logging in ever before. Every time I rebooted after that, I was greeted with a BSOD. Windows tried and failed to repair itself. I thankfully was able to use the Recovery to pick a second restore point a few days before the KB4489899 update and right before the KB4489907 & KB4486553 updates. The restore was much quicker and thankfully my computer is back to normal for the most part. I don't want to speak for all windows users here but I'm guessing most of us would just re install windows when something goes wrong. Buying a new pc seems a little drastic when you can easily download a new windows image or just refresh your current install. A different way to look at it is that time is money and sometimes someone's time is worth more than a new computer cost. A lot of companies will keep spares in inventory to hand over and transfer data versus taking an employees computer, re-imaging, setting up, which can take extra hours. That just means companies replace the machine at that time to keep productivity going allowing them to re image the fualty machine later on. That way there is always spare inventory set up and ready to use again if needed. Same software technology used on 737 MAX? Long life Windows 7. Less dpc latency, better mouse behaviour, better ram and cpu threads management. You speak perfectly right things, mate. But when Gonegirl's PC doesn't have a BIOS, I'm totally agreed with her: she won't be able to install Windows 10 on it, actually she wouldn't make such a PC bootable at all. We could make the point on existence of such a thing that called backward compatibility. Or we could point on system requirements of a certain Windows version, certain applications etc. But who knows what can happen in the world of computers that lack "the registry" thing? Although in that reality where I live, people do install Windows on everything, and the newer OS is, the more are chances to update seamlessly. And vise versa: the older the OS is, the bigger trouble you discover trying install it on your shiny PC (e.g. Win7 on CFL or Ryzen).